Even before Rob Lopresti mentioned it last week - is there a rule about blondes? - I'd been watching the Brit cop show New Tricks, starting at the beginning of the series and working my way forward. I remember catching some episodes when they were broadcast on A&E or maybe Mystery, but I wasn't a regular. Just like discovering a new writer when they're already established (picking up a book from the middle of their catalog, and then going back to read all of their books in order of appearance), you get a stronger sense of brand loyalty, not to mention story dynamic and character, when you watch a series from the start. You see them correct the seasoning, too, and find the right beat. Riker is better with a beard. 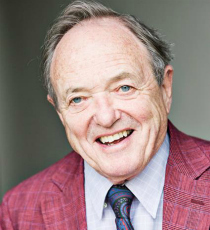 Barney Miller doesn't need a home life. New Tricks was camera-ready pretty much right out of the box. They established a framework, furnished it with familiar devices, and peopled it with a comfortably solid crew. And something unpredictable happened. The show got legs, yes, but the anarchic energies of the game team, or whatever was in the water, made for an eccentric orbit. This is immediately obvious in the chemistry between the four character leads, and the writing plays off this as the series builds on itself. It's a symbiotic process. The premise is reasonably straightforward. A fast-track Detective Superintendent is given the job of recruiting a cold case squad for the Met. She lines up three retired cops, each with particular strengths and weaknesses. They are, in fact, past their sell-by date, and the tensions between the three older guys and their younger, ambitious boss are about gender, and generations, and not a little about style. Which makes for easy targets, on the one hand, but some quieter subtext, on the other. The show can be surprisingly dark, comic relief a way to depressurize. 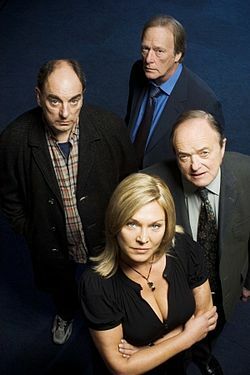 The pilot for New Tricks came on in 2003, the same year as the American series Cold Case. Cold Case, though, was pretty relentlessly grim. Also the American show used flashbacks as a regular feature, reconstructing what might have happened. New Tricks takes place entirely in the here and now, using only the POV of the detectives. And part of the fun, on either side of the Pond, is the list of guest shots. Ooh, look, there's Patrick Malahide (Inspector Alleyn, Balon Greyjoy), or Clare Holman, from Morse, and Lewis, and Lewis himself, Kevin Whately, playing against type as a rather dodgy school headmaster. Jon Finch, Rupert Graves, Phyllida Law, Claire Bloom, Peter Davison, Anthony Head. Cherie Lunghi, Jane Asher, Victor Spinetti, Art Malik, Honor Blackman, Camille Coduri, Rita Tushingham, Sylvia Syms, Jenny Agutter, James Fox, Nicholas Farrell, John McEnery, Roy Marsden. Sheesh. The show ran its course. At mid-point, it was one of the most-watched series in the UK. But after eight seasons, James Bolam left, and Alun Armstrong and Amanda Redman hung up their spurs after season ten. Dennis Waterman lasted into the opening episodes of season twelve, and then he too turned in his badge. New Tricks folded. The lesson here isn't about losing stamina or overstaying your welcome. The lesson is about how they got it right in the first place. We know it's not as easy as it looks. Part of it's luck, part of it's having good material, part of it's showing up on time. The writers, the cast, the production values. They knew they were onto something, and it shows. What it is, is heart. They delivered. I agree that one of the pleasures of the many UK mysteries on PBS is seeing fine character actors in different roles. Must say that with the homicide rich Midsommer Murders, it is occasionally disconcerting to see last week's victim reappear as this week's killer. Enjoyed your post, David. I'll admit I've never watched this show, but you've made it sound intriguing. I'll see if it's available on Netflix. Very nice. They DID make one shift in the early years of the show: getting rid of the young uniformed cop who really had nothing to do. 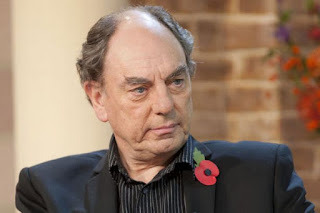 Alun Armstrong, who is great, had an important role in the series Garrow's Law, based on the true cases of the 18th century barrister who came up with crazy ideas like innocent-until-proven-guilty. (Armstrong is his mentor.) He is playing a bad guy (with a wig) in Prime Suspect: Tennison. By the way Cold Case (US) and New Tricks (UK) were clearly inspired by Cold Squad (Canada) which started a year previously. And they all featured blonde women bosses. 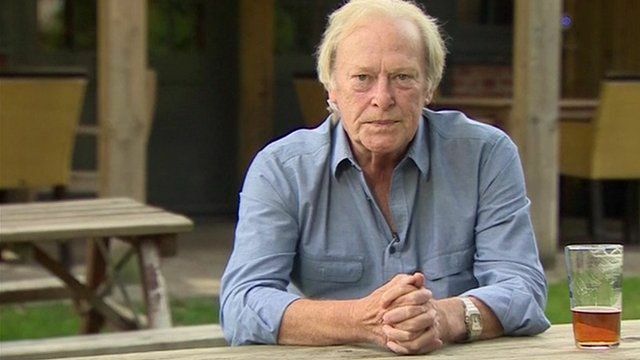 My favorite scene in New Tricks was Dennis Waterman's character announcing he was quitting and slapping something down on his boss's desk. "I don't have a badge, so that's my Blockbusters card!" Style. I'm going to have to get hold of New Tricks. It sounds wonderful! I managed to catch a couple of episodes when staying with friends and I queued recordings of it to watch later… and forgot about it until you reminded me again. Another ensemble series I've enjoyed is Major Crimes and its predecessor, The Closer.